Skills Development Scotland has more than 600 members of staff who provide free careers information, advice and guidance. With five different types of specialist advisers, they work in schools, at the organisation’s contact centre and in various community-based venues across the country. By its nature, career advice is personal. So it has to take account of people’s life experience – and that can include, in some cases, a history of offending. Yet, for many career advisers it can be a challenge to understand the full implications and impact that previous offences can have on an individual’s future employment prospects. 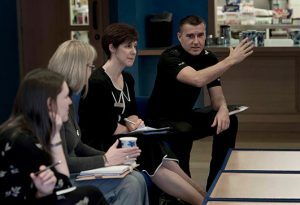 That’s why Skills Development Scotland recently worked with the Centre for Youth and Criminal Justice at Strathclyde University to deliver a series of briefing sessions on the new online resource – Youth and Criminal Justice in Scotland – the young person’s journey. Over 75 careers practitioners were involved in the sessions which provided an excellent overview of the complexities, routes and terminology involved in the criminal justice system for young people. The online resource has also proved to be a very effective tool in practice and it has helped advisers in supporting career planning discussions with young people who have experienced the justice system. 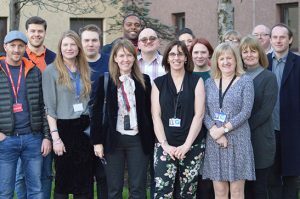 This project shows how using specialist expertise and support can help a partner like Skills Development Scotland develop a better understanding of their user’s complex needs while improving the quality of their service and increasing the likelihood of a positive outcome for themselves and the wider community.